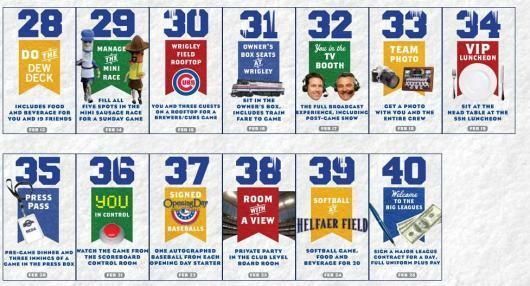 The Milwaukee Brewers are supporting their 2011 season ticket sales efforts with a "Fantastic 40" initiative that rewards 40 season ticket holders with 40 unique prizes and experiences over the course of 40 days (January 17th - February 15th). The terrific concept rewards all fans who sign up to become season ticket holders with the organization. Once fans' payments are received in full, they are automatically entered in the promotion, which offers some truly incredible prizes and experiences. 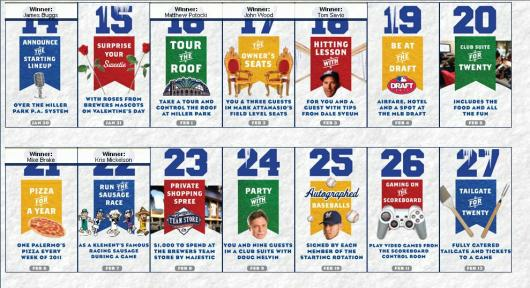 The Brewers are promoting the initiative by announcing the daily winners on a digital billboard in Milwaukee and posting an announcement, including a photo of the custom billboard, on their official Facebook page. The live billboard, complemented by a daily Facebook post, serve as a great call-to-action to entice fans and drive buzz in the weeks leading up to the season.